During the first half of the twenties the German air transport market showed a continous increasing demand. 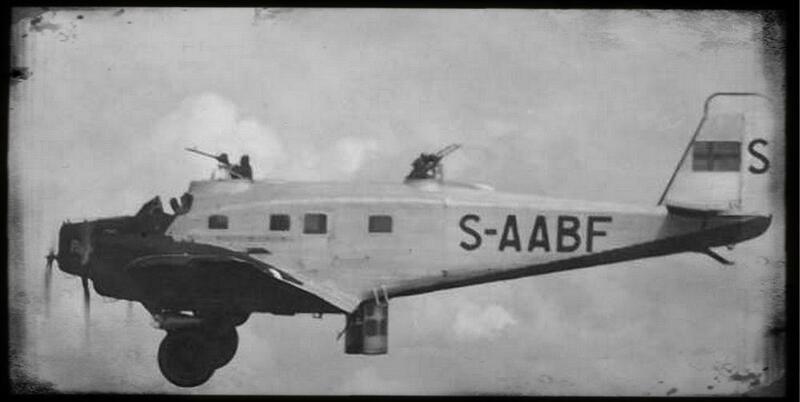 The Junkers F13 just offered seats for a maximum of 4-5 passengers. This quickly became not enough for the major routes in Germany and Europe. In 1923 Junkers advised Zindel to think about a larger version of the F13. Like the F13, Zindel initially designed a single engined enlarged version of the F13. But due to the lack of powerfull engines in Germany in 1923, Zindel had to review the design. Instead of a single engine, the G23 got three Junkers L2 engines with 145 kW each. But the ILUK (International Aviation Control Commission in Germany) stopped the design again due to the powerfull engines and ranked the G23 as a military aircraft. Finally the G23 got two Mercedes D I engines and one BMW IIIa center engine. The final assembly of the G23 was performed at Nuremberg Fuerth airport as the Dessau facilities became to small for F13 production and G23 developement. The first G23 (c/n 831) was performed on 18th September 1924 at Fuerth by Wilhelm Zimmermann but during the landing the aircraft crashed. The G24 was the more powerfull version of the G23 and a parallel unofficial development. ILUK banned this more powerfull aircraft. Therefore at Dessau all aircraft were built according to the legal G23 standard. But those Dessau built aircraft were then transfered to A.B. Flygindustri at Limhamn in Sweden and were equipped with the more powerfull Junkers L2 engines there according to the G24 standard. Most of this Limhamn modifications returned to Germany and were used by German airlines under the designator G23. The G23/G24 was built between 1925 and 1929 and a lot of different engine versions became available during that time. It became the backbone of the German air transport industry during the second half of the twenties. To prevent the production line of the G24 from interventions by the ILUK, only the initial G23 aircraft with the less pwoerfull engines were produced at Dessau. Later Dessau only produced the parts for the G24s, which were transfered to Limhamn, where they were mounted as A.B. Flygindustri aircraft. Finally since 1926 the complete G24 production was returned to Dessau, after the Allied restrictions were lowered. A total of about 20 G24s were produced at Limhamn. The G23/G24 was originally designed by Zindel as a single-engined aircraft. But due to the missing engines, which offer enough power for the aircraft, Zindel had to design a three-engine aircraft. During the second half of the 20s more powerfull engines became available, like the BMW VI. Luft Hansa, who operated the largest G24 fleet in the world, decided to modify their G24s to a single engine standard. First modifications were performed in March 1928 at the Luft Hansa technic base at Berlin-Staaken. The wing of the G24 was shortened by the parts of the engine mountings and the center engine was replaced with a BMW VIU engine. According to the Junkers designator scheme, this aircraft was designated F24ko. A total of 11 G24s were modified to F24 standard between 1928 and 1930. By July 1933 most of these BMW-equipped F24s were again modified with the new Jumo 4 and designated as F24kay. Already in 1931 a Junkers F24 was equipped with this new engine as a testbed. Most of these F24 remained in service until the beginning of WWII in 1939. Most of them were used as freighter aircraft by Lufthansa. One of the demands of the Soviet forces for the joint venture of Junkers at Fili was the developement of bomber aircraft. To fullfill this demands, Junkers designed the Junkers Ju25 as a twin engined bomber aircraft. But the developement of this aircraft was to expensive for Junkers, especially regarding the outcoming difficulties with his Russian partners. Therefore Junkers advised Zindel and Pohlmann to design a military derivate of the G24. In November 1924 an initial design was finished under the designator G3S1 24. This initial design was declared as an ambulance aircraft and was directly taken from the G24ba. This design was followed by several reconaissance designs G1Sa 24 which taken from the G24 design, but which were single engined. The next design G2sB 24 was again three-engined and became a bomber aircraft, which was directly derivated from the G24he again. This design got a new center wing section and a new nose section, for getting a free shooting area to the forward areas. Junkers decided to produce this design as a general military version of the G24 under the Junkers designator K30 in 1926. Junkers offered the K30 design to the Russian forces, which ordered a total of 23 K30 aircraft in 1925 and 1926. As the German aviation industry was still not allowed to built military aircraft in 1926, again the production line for these military K30 was set up at A.B. Flygindustri at Limhamn in Sweden. The parts for these K30 aircraft were built at Dessau and then shipped to Limhamn, where A.B. Flygindustri built the K30 under the designator R42. Some of the R42 were already equipped with machine gun towers and bomb mountings. But several of the R42 were also shipped without military equipement to Russia. Those aircraft were military equipped at Fili. In Russia the R42/K30 was designated as JuG-1. Six more R42s were delivered to Chile during 1926 plus three K30 to Spain and two K30 to Yugoslavia until 1931. The Spanish and Yugoslavian aircraft were produced at Dessau.  The K30 was equipped with wheels, skies and swimmers. 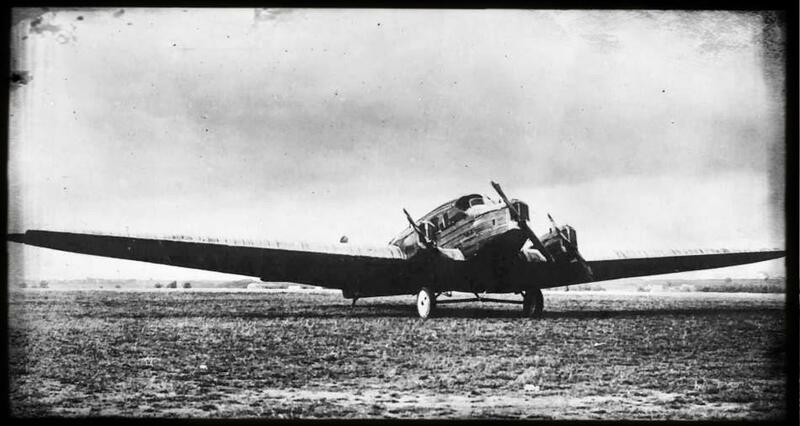 Following the successfull conversion of the G24s to a single engined aircraft F24, Junkers was also thinking about a single engined K30 in 1931. Like the F24, this K30do should be equipped with the Jumo 4 and was similar to the initial G1Sa 24. But none of this single engined K30s were built. Luft Hansa started first night operational flights from Berlin to Konigsberg with passengers. from where it should cross the South Atlantic. But the operation had to be dropped due to a crash at the Acores. for 2000kg payload with 1013,18km in 7 hours and 52 minutes. for 1000kg payload with 2026,36km in 14 hours and 23 minutes. with 2000kg payload over 500km with 175,75km/h. for 2000kg payload over 100 km with 207,26km/h. The record flight was performed between turning points at Dessau and Leipzig. On August 8th 1927 a K30 seaplane performed a World Record Flight. Over distance of 1000 km and with a payload of 1000 kg, the K30 reached a speed of 171 km/h. The flight time of 10 hrs. 42 min. 45 dec. was also a FAI Record, as well as the flight distance of 1176 km. F24kae was a single testbench for DB600/601 engine.